Members of the Camden County College community are helping neighbors in need this winter through the college’s charity drives and in other ways. One charity drive Camden County College is holding is its annual coat drive. Students are encouraged to donate their gently worn coats to help those in need during the winter. The coat drive is sponsored by the Office of Student Life and Activities. All donations will be given to the Team Hines Organization. The college is also holding its annual food drive. The drive is asking for non-perishable food items so families will not go hungry this season. The items include high protein foods such as peanut butter, canned tuna, canned salmon, canned chicken, canned ham, canned or dry beans, peanuts, sunflower seeds and almonds. They also include canned vegetables, canned fruit, fruit cups, applesauce, raisins, dried cranberries and prunes. Also included are whole grain cereal, oatmeal, rice, pasta, pancake mix, stuffing mix, cranberry sauce, instant mashed potatoes, brown gravy, canned pie fillings, boxed macaroni and cheese, canned soups, canned stews, canned chili, canned pasta and granola bars. The food drive is also sponsored by the Office of Student Life and Activities. All donations will be given to the Food Bank of South Jersey. The college’s food and coat drives will continue until Dec. 8. 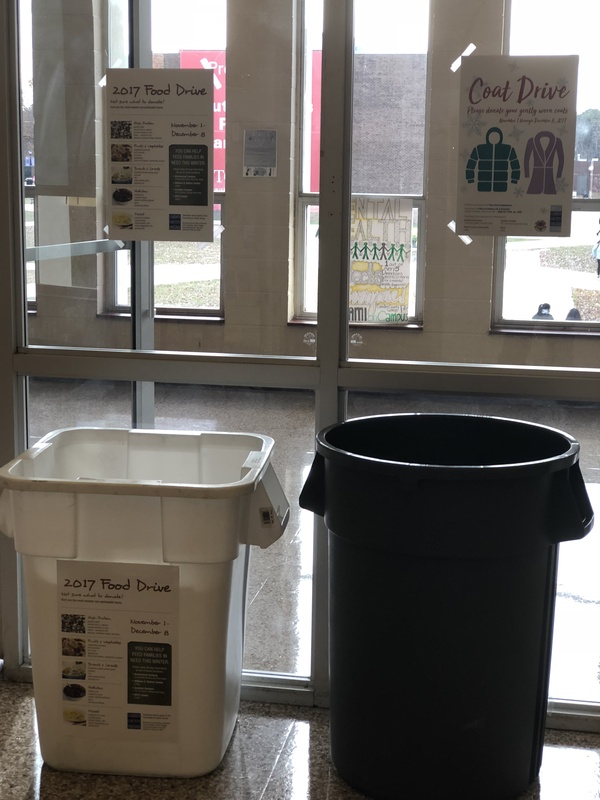 Collection bins are set up in Room 200 of the Otto R. Mauke Community Center on the Blackwood campus, the College Hall lobby on the Camden campus and the Rohrer Center on the Cherry Hill campus. For more information, call 856-227-7200, ext. 4282.